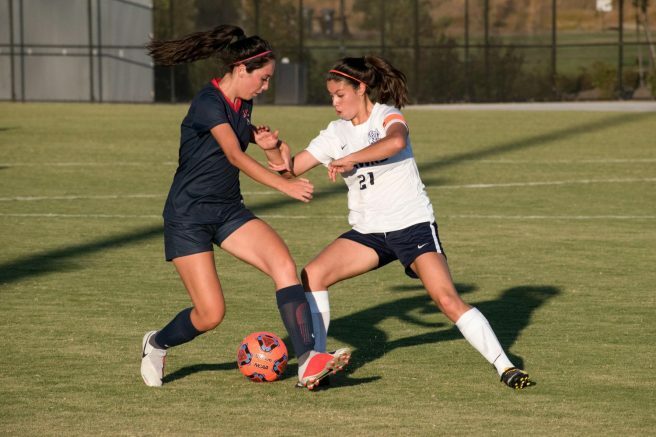 On Friday, Sept. 21, the American River College women’s soccer team fought until the last few minutes when a goal was scored by Cosumnes River, tying the game at 2-2. The Beavers started off very vocal at the beginning of the first half. The goalie, Josie Gover, communicated with her teammates from the goal post, encouraging them to win the ball in the air. The team had organized passing and thorough first touches on the ball. The high energy, communication and speed allowed American River forward Mairenn Atkinson to take the first shot on goal within the first minute of the game. The shot was saved by Cosumnes goalie, Tanayjah Tamano, but that didn’t stop the Beavers from attacking offensively. The first half ended with defender Josie Baca receiving a yellow card, and the Beavers were down 0-1. Beavers came into the second half with the same high intensity that they started out with. Forward Savannah Tijerino-Santos scored the first goal for the Beavers just minutes into the second half, tying the game 1-1. Head coach Paul Arellanes said he felt the Beavers showed a little bit of character in the second half. The Beavers received their second yellow card, given to Atkinson, minutes after the goal was scored. 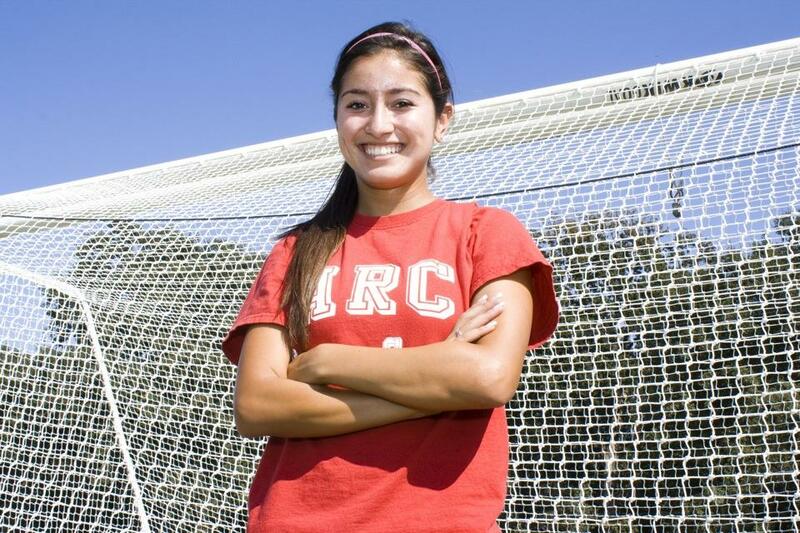 Shortly after, Tijerino-Santos was given a red card and ejected out of the game. “The red card was a little bit unfortunate and was kind of a bad decision on our part, it affects everybody and it’s tough,” Arellanes said. Forward Kai Cooper shot and scored in the last 20 minutes, putting the Beavers in the lead with 2-1, adjusting the team after a total of three players were carded in the game so far. “The second half was interesting. Our star scorer (Tijerino-Santos) got a red card and got thrown out of the game, we were down a player, then we got up 2-1,” Gover said. Cosumnes stripped the Beavers of its win, tying the game at 2-2 with just minutes left in the game, giving the team its first tie of the season. “It’s kind of disappointing to let them get a goal in the last minute, but we showed good character and resilience, and it was a good fight for us,” Arellanes said. The Beavers’ overall record is 2-5-1 with a conference record of 1-2-1. Be the first to comment on "Beavers stripped of win in final minutes"